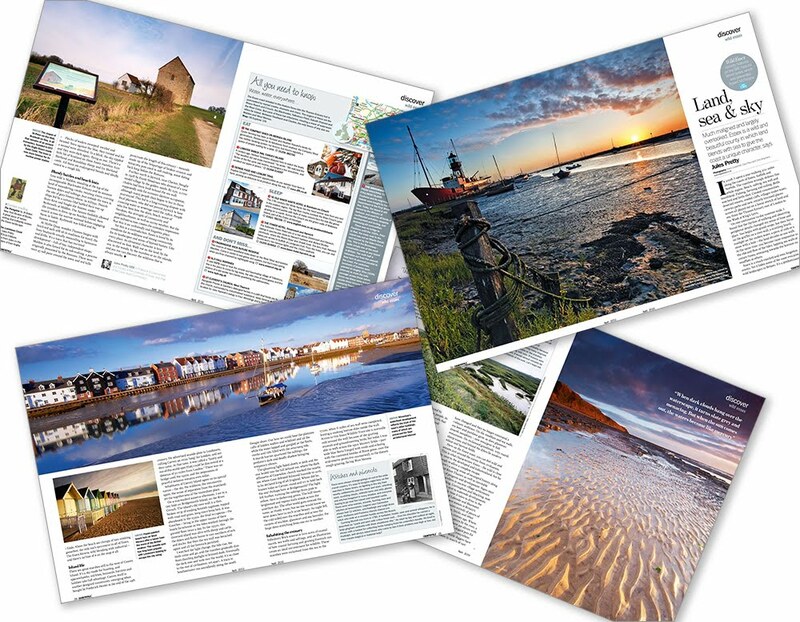 Today marks the publication of the April edition of BBC Countryfile Magazine, which has a feature on "Wild Essex". 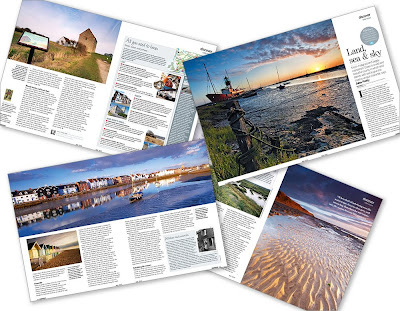 The photographs for this feature were supplied by the Images of Essex team. The picture Editor of the magazine, contacted us via our website which is provided by the Foliopic system. It proved to be quite a challenging assignment, as we requested to make the images as "spring like" as possible. Bear in mind the country was being lashed by the worst winter for 30 years and spring was the latest it had been for many years. Indeed, so unfavourable was the weather that as I was talking to Tor (the picture editor) on the phone about the commission, huge snowflakes were blowing past the window. We had two weeks to get a long list of shots from across the county, sharing the work amongst the three of us meant that it was quite achievable...if only the weather played nice. For the first week, slate grey skys hung over the county and things looked like it could get quite tricky to get the required shots. But the weather was with us on the second week and all the locations were all snapped. My fellow Essex Imagers worked hard to get the required shots. Dave Peck did a great job of shooting The Company Shed on Mersey Island - it's just a shed so Dave got some great shots of it's fishy produce instead of just a picture of a shed. Whilst Kevin Goodchild managed to use his influence with the military to get access to the broomway on Foulness. The Picture Editor had requested that we email the shots to them as they were taken, but instead we used our Foliopic website and created a private password protected gallery where we could upload the images easily and the customer could brows to pick the shots they liked. This was a much better way of working and made things quicker and easier for us all. If you are passing a newsagents, why not pick up a copy.